Given the titanium reference in the article it should be noted that while this “pores are filled with dye” is true with aluminum anodization, the same does not apply to titanium. Titanium anodization does not employ dyes but rather attains different colors by varying the thickness of the titanium’s oxide layer. This is also the case for niobium. Not trying to troll or anything, but didn’t the video just say that? okay you caught me….I didnt watch the video. I do enough anodizing it wasnt really of any interest to me….I guess my comment is only useful to those who read hackaday articles and comments and didnt bother to sit through the video. Sorry. I can see how those dosing could come away with the impression that dyed is use to color titanium. While Bill could have done better with the segue from titanium to aluminum, he basically said what you said Although he didn’t specifically point out dye isn’t use with titanium, bit AIIRC he didn’t say it was either. I see that in the time it took for me to compose a comment another said the same I, sorry I was trying to be jackass events turned to make me look that way. Those pores are filled with dye, then the metal is boiled in water which closes them, sealing in the color. Boiling is one method but not widely used in industry because of the absolutely massive energy required to boil 1000 – 5000 gallon tanks of deionized water. What most vendors do is use a mid temperature nickel acetate seal rather than boiling water. The only problem of course is that you infiltrate nickel into the aluminum (on purpose) and then you have to deal with the waste stream. All told though, anodizing is MUCH friendlier on the environment than plating (heavy metals) or painting (anodizing is VOC free). I think you mean neat. Maybe traditional solvent based painting. Powder coating is essentially VOC free. “next” was the name of one of apples early computers that filled a strange and arguable non existent niche in the market for an expensive and powerful desktop computer that had an absolutely perfect black cube as its case, costing vast sums in manufacturing. I don’t think it was a typo. NeXT had nothing to do with Apple and ran its own proprietary OS. Steve Jobs founded it after he got kicked out of Apple way back when. The cubes also burned brilliantly due to the magnesium cases if you can manage to get one lit. I doubt the cases cost vast sums to manufacture, they were simply pieces of cast magnesium. Ignorance on the internet? Why, I never would have guessed. What’s in a name? From the Latin word for alum, alumen. “From the Latin word “alumen” meaning “alum”. The ancient Greeks and Romans used alum in medicine as an astringent, and in dyeing processes. Atomic Number = 13, Atomic Mass = 26.98, 13 protons, 13 electrons, 14 neutrons. Just because you feel like adding syllables does not make it correct. Maybe it’s called “English” for a reason? Just because you want to make up words or are too lazy to spell them correctly doesn’t make you right. We are speaking American English, so your appeal to English authority misses the mark. 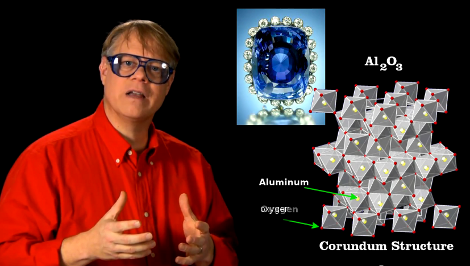 More importantly, Davy himself coined the name aluminum. Also, aluminum is an accepted variation by the IUPAC. If “accepted variations” (popularities) are correct then so is creation science. Does it have to be “smack you in the face” simple like in the movie Idiocracy for you to get it? In the USofA, aluminum is pronounced as it is spelled–as opposed to English pronunciation of various words which include some variation of —chester? What part of this process is Apple(TM) specific? I wonder if and suspect that my dyed aluminum flashlight has gone through the same process. Aluminum is aluminum. Nothing Apple specific about Type II Anodizing. I’ve wanted to anodize some aluminium can tabs in rainbow colors for a while. I just watched the video and it doesn’t seem too hard. Research time! p.s. Neither of those laptops uses unibody construction.